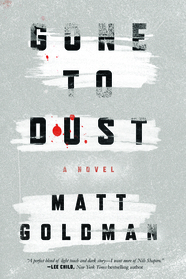 Today we turn the spotlight on Matt Goldman, whose debut novel, GONE TO DUST, features an unusual crime—a murdered woman is found covered in dust from hundreds of vacuum cleaner bags, rendering DNA evidence useless. 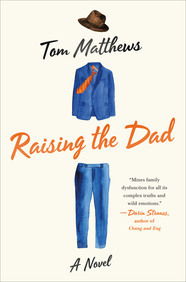 Macmillan Library: Hi Matt, and thanks for joining us for a Q&A on the blog today! Before we talk about your debut mystery, GONE TO DUST, let’s start with your credentials. You began your career as a stand-up comedian and are now a playwright and Emmy Award-winning television writer for Seinfeld, Ellen, and other shows. You must do so much writing for your day job, why write a novel? Matt Goldman: I love writing and I’m a first-degree introvert. So much of television writing is done in a roomful of writers. Not the actual script writing (usually), but conceiving characters and stories. Much of the rewriting is also done in a group. Especially in comedy. TV writing and writers have taught me so much about character, story, pace, dialogue, and series construction, I wouldn’t trade a minute of it. But for my personality, it’s exhausting trying to track all those words in the air. I love the process of book writing—I find it energizing. And it’s a chance to write my voice without concern for other writers, actors, studios, and networks. ML: Was it harder or easier for you to write GONE TO DUST vs writing for TV? What are some of the major differences? MG: Some of the differences I explained above. I guess I don’t look at it as hard vs. easy. They have their tradeoffs by that measurement. It’s a more whole and rewarding experience for me to write books. I’m a serial daydreamer. That serves me better as a novelist than it does in a room where I’m supposed to be paying attention. ML: Did you have specific inspirations as you wrote GONE TO DUST? 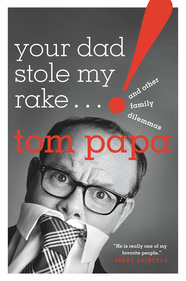 It’s lighthearted, but has a very noir feel.